Thank you all for a great Math Circle season. We had some amazing speakers, great crowds, and, of course, wonderful mathematics! 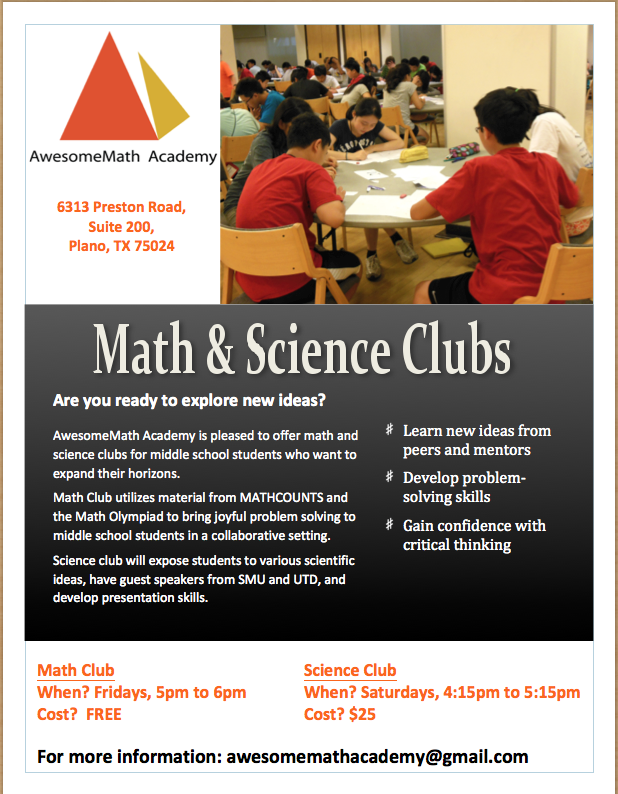 We will resume again in the Fall, but in the meantime, please check out the new science and math clubs at AwesomeMath Academy!